Valve posted a teaser for its new VR headset, which had been rumored since last year. 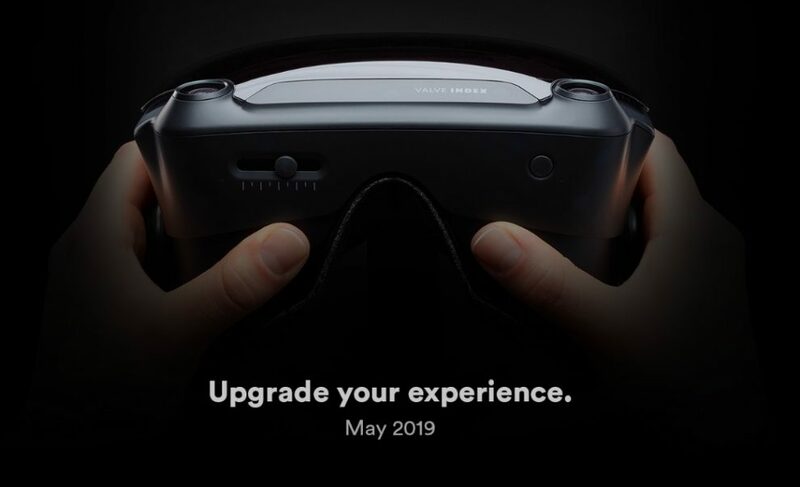 The teaser implies that the launch date will be in May 2019, around the same time as the competing Oculus Rift S and Oculus Quest. In 2016, Valve partnered with HTC to produce the HTC Vive. While HTC manufactured the Vive, the headset and VR system was designed by Valve. Valve stood to gain from the software sales, most of which are purchased from Valve’s Steam. The teaser shows that Valve Index has at least two cameras, which could mean that it will have inside-out tracking without sensors (for comparison, Windows Mixed Reality and Lenovo Mirage Solo both have 6DOF tracking with two cameras). There is also what appears to be a physical IPD adjustment and a button (possibly a power button or home button). Valve Index is rumored to have a wider field of view, as suggested by the large lenses, and might be controlled by Valve’s new “knuckle” controllers. There are also rumors that the Valve Index may be bundled with Half-Life VR. Here is the official page for the Valve Index.